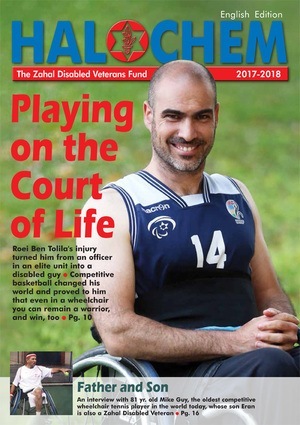 The former US servicemen arrived on a visit organized by the Heroes to Heroes Foundation, an American veteran support organization, and came to the Zahal Disabled Veterans Organization – BeitHalochem rehabilitation center in Tel Aviv on Monday. The event was jointly organized by Judy Schaffer, founder of Heroes to Heroes, and OraSeidner, project developer for the Zahal Disabled Veterans Organization. MotiElmaliach suffers from severe PTSD sustained during his service in the Border Police, when he faced shootings and large Palestinian riots. He assisted in protecting the construction of the West Bank security fence during his service, which lasted from 2002 to 2012.